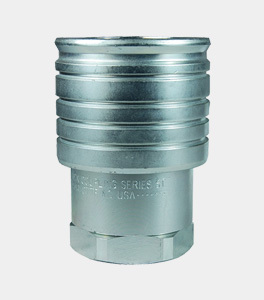 Triangle Process Equipment delivers a wide variety of stainless valves that facilitate efficient samplings, drainage and product changeovers while ensuring maximum product integrity at all times. 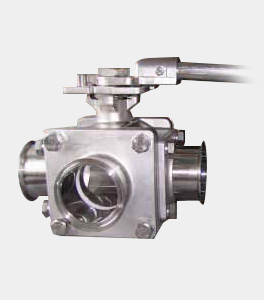 From mix-proof, ball and butterfly valves for the food, beverage and cosmetics industries, to radial and hygienic diaphragm valves for use in pharmaceutical manufacturing, our valves offer superior drainability and cleanability. 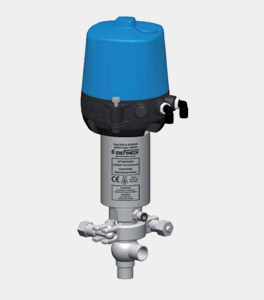 Designed to minimize deadlegs and risk of cross-contamination, our valves ensure consistent and cost-effective sanitary processing. Actuators and automated valve sensing and control units also are available. Eliminate leaks, dead legs and cross-contamination concerns with our collection of diaphragm valves. From high purity valves used for sampling, drain ports and steam ports, to T-pattern and tank bottom valves designed to maximize drainability, count on our precision molded diaphragm valves to deliver reliable performance, minimize bacteria entrapment and offer a long service life. 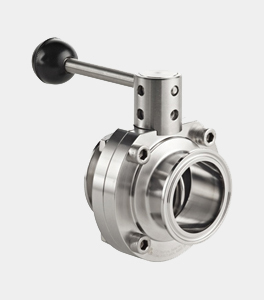 From high purity, tube full, port ball valves to electrically actuated valves, count on our line of stainless steel ball valves to form tight seals and regulate flows for processing needs. Durable construction enables our valves to tolerate harsh environments and high torque conditions, while polished finishes ensure cleanability. Innovative designs enable efficient serviceability. 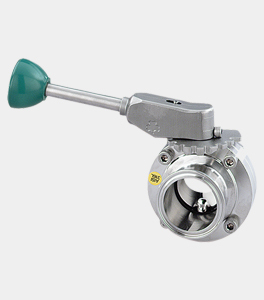 Our collection of traditional butterfly valves for food, beverage, dairy and high-pressure applications as well as high-purity butterfly valves for pharmaceutical, biotech and personal care applications deliver reliable on/off routing. Polished stainless steel surface finishes facilitate easy cleaning and minimize contamination risks. 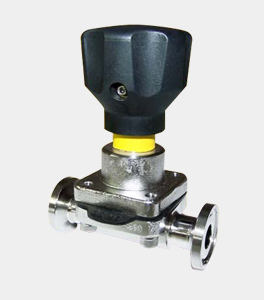 Valves are available for automatic or manual operation. 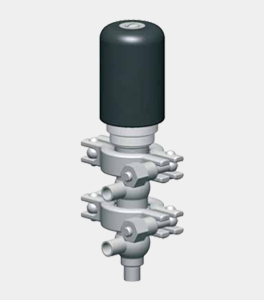 A modular design enables the valves to accommodate a variety of pressures. 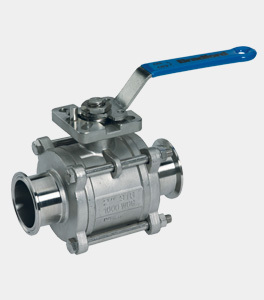 Count on our line of stainless steel check valves to prevent flow reversals in a wide variety of sanitary processing applications. 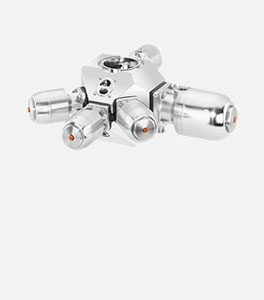 Easy to install, our non-return valves protect process equipment that could be impacted by reverse flows, prevent pressure surges and possible system shut-downs for maximum uptime and product yield. A variety of surface finishes make cleaning and maintenance easy. 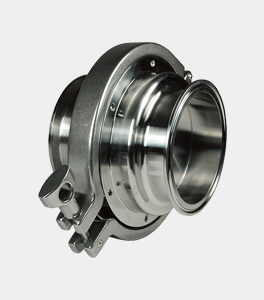 Designed to meet the sanitary requirements of the pharmaceutical, biotech, food, beverage and cosmetics industries, the stainless steel dry disconnect couplings we offer reduce the opportunity for process contamination. 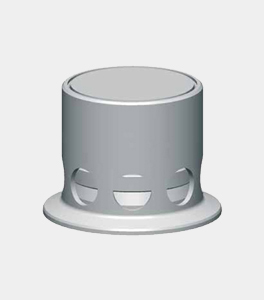 Our dry connects, including a dry disconnect coupling that features a drip-proof butterfly design, are engineered to minimize the opportunity for trapped product within the system. A variety of sizes, body and seal materials and end connections are available. Self-draining construction enables efficient CIP and SIP cleaning procedures. 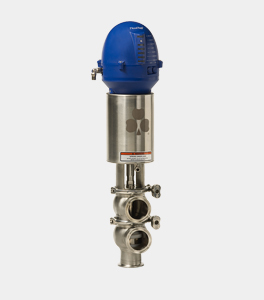 Our sanitary relief valves will help protect your processing equipment from damage caused by pressure build-up within the system. 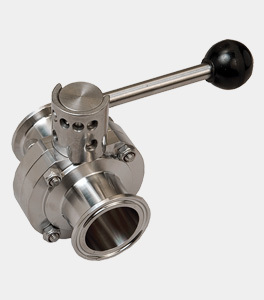 Constructed of durable stainless steel for maximum cleanability, our line of relief valves are designed to tolerate a variety of fluid properties. 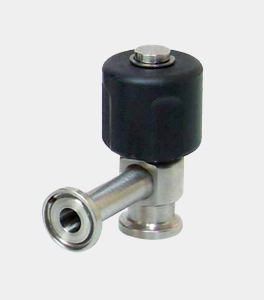 From manual pressure relief valves that can be adjusted to relieve the system at a variety of pressures, to vacuum-pressure relief valves that allow air into the system to prevent vacuum conditions, our relief valves will help minimize malfunctions, ensuring the safety of operators, equipment and products alike. 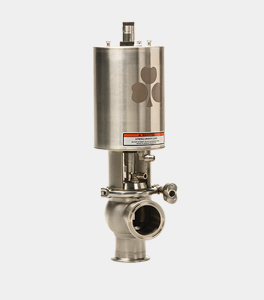 Designed to minimize dead-leg areas, our stainless steel sample valves consistently deliver accurate samples for reliable quality control of sanitary processing applications. Industry-leading hydrodynamics improve temperature control and ensure our comprehensive selection of valves can be easily cleaned and quickly drained. Alternative end connections and full material traceability are available. 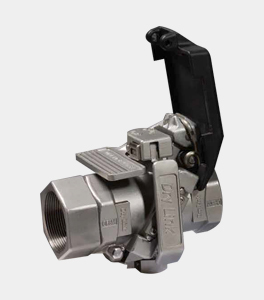 Our durable pneumatic single seat valves (SSV) enable operators to stop or change product flow, while our mixproof valves allow a simultaneous flow of two products through the same valve without risk of cross-contamination. A modular design ensures our SSVs can deliver customized configurations and long service life. 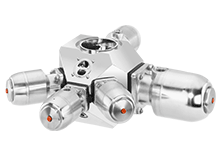 Through their unique design, our mixproof valves enhance processing efficiency and productivity. 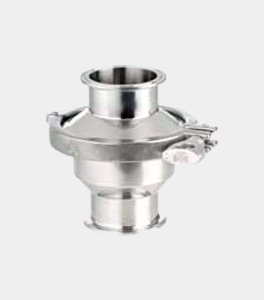 Stainless steel construction of both the SSVs and the mixproof valves ensure the valves are easy to maintain and clean.